On March 8, 2017, Constellation announced its ShortList™ for Smart Services Digital Monetization Platforms. With 52 percent of the Fortune 500 turning over since 2000, success requires a rethink around the core mission and business model of an organization. The companies included on the Constellation ShortList provide the key functionality and requirements for early adopters pursuing digital transformation initiatives. All offerings in the ShortList™ meet the threshold criteria for Account Management; Alerts and Notifications; Billing; Complex Event Processing/Workflows; Configure, Price, Quote (CPQ); Contracts; Financials; Invoicing; Integration and Orchestration; Partner Platforms; Pricing; Product Catalog and PIM; Reporting and Analytics. Zuora was honored to be recognized on this ShortList™. You can view the entire ShortList™ here and see a list of all the most recently released ShortList™ entries here. 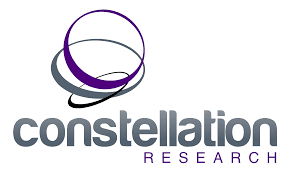 Disclaimer: Constellation Research does not endorse any solution or service named in its research. To learn more about subscription monetization, download our free Practical Pricing Guide for Monetizing Subscription Services.